We’ve all been there. It’s two weeks ’til payday, but somehow your pockets are empty and no amount of scrabbling down the back of the sofa will help. But that doesn’t mean you have to stay inside, clutching a glass of tap water and a piece of dry bread until the end of the month. In fact, there are plenty of cheap bars around the country, just waiting for you to hand over a pile of coppers in exchange for a pint. As a general rule, bars located in national landmarks are generally the kind of bars that we don’t go to except after payday. And even then we leave the receipt folded up on its little tray and close our eyes while typing in our pin numbers. 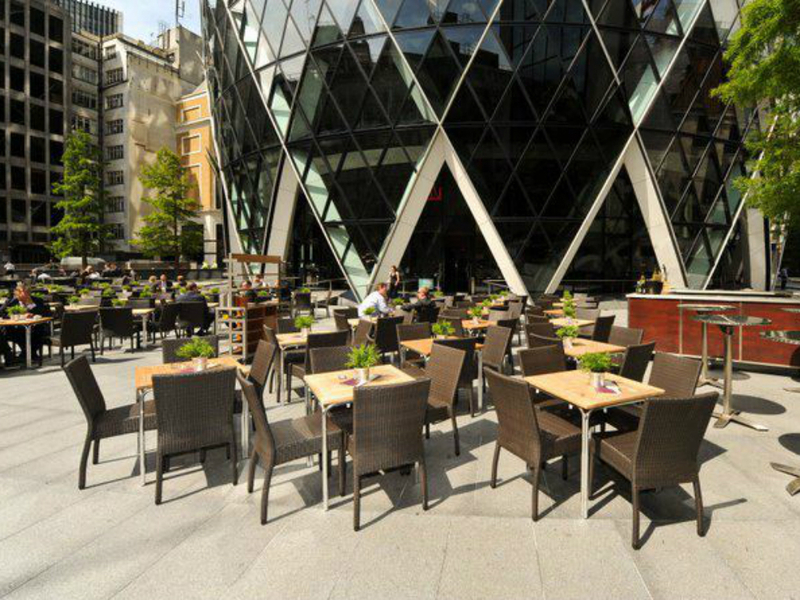 Which is why The Sterling – located in the base of The Gherkin skyscaper in London – is such a surprise. The décor is modern and smart in that kind of I’ve-come-straight-from-work-and-didn’t-have-time-to-change-out-of-my-suit way (which no doubt suits its inner-City clientele), and with grilled sandwiches for £6, pizzas for a fiver and stacked-high burgers for only £10, what the menu might lack in originality, it totally makes up for in price points. And if that’s not persuasive enough, you can get a glass of wine for £3.10. Which is about as good as it gets. If you haven’t heard of Bunga Bunga, we can only assume it’s because you’ve been hiding under a beautifully calm, tranquil rock – far away from disreputable Italian politicians and karaoke. But it’s time to listen up. 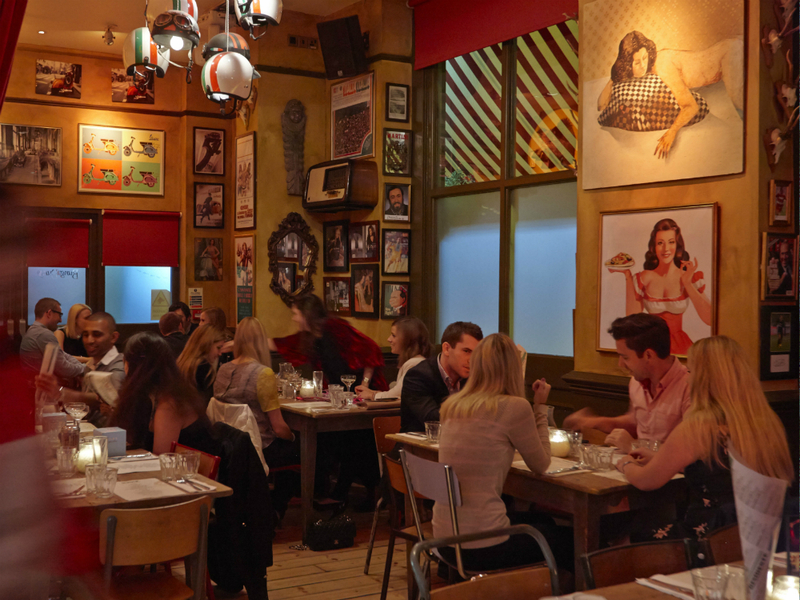 Because this Battersea-based pizzeria – favoured by the likes of Prince Harry and K Mids – has just launched The Perfect Ten Thursdays. Yep, that’s right – for £10, you get a pizzacato pizza and a cocktail. Then, when you’ve drunk and eaten your fill, it’s time to hop on the complementary party bus (oh yes – they still exist) which will transport you to Bunga Bunga’s late-night counterpart, Beaver Lodge, where you can jump the queue and dance the night away at no extra cost. How do you say ‘crikey’ in Italian? Fancy a bit of Spanish culture – without having to root around in the back of your underwear drawer and try to find your passport? Then head to Cowbridge in South Wales, instead. 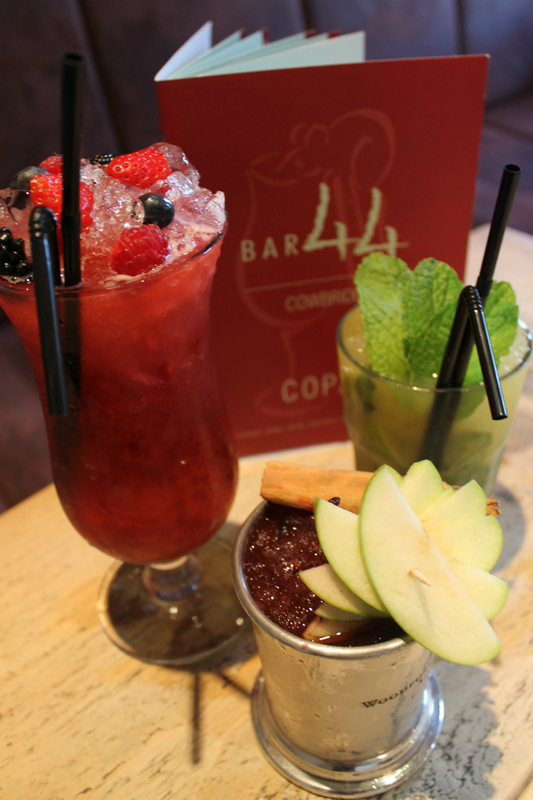 Famed locally for its award-winning tapas and cocktail selection, Bar 44 might be a chain (other branches are in Cardiff and Penarth), but it’s a cosy, unique one at that. Plus, with a menu that kicks off at a purse-pleasing £1.75, and wine starting at £2.70 per glass, something tells us you’ll be making yourself at home in no time. 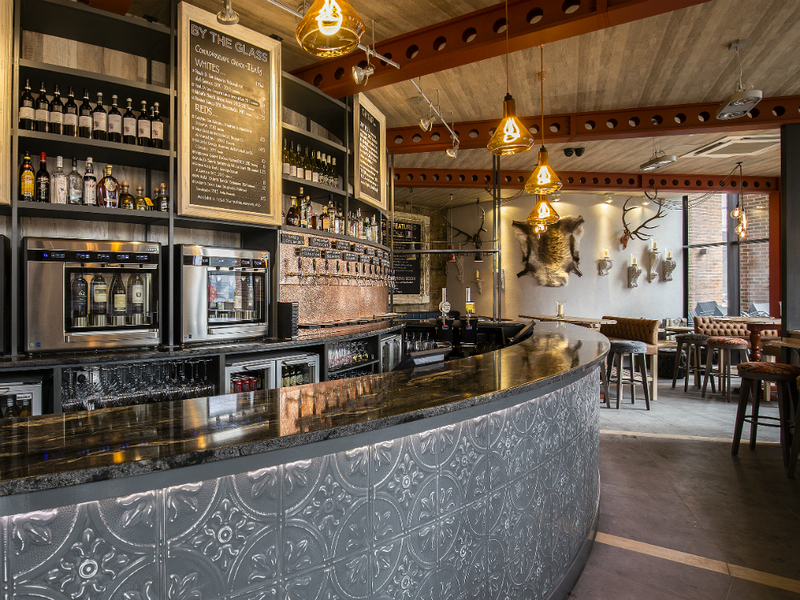 Located underneath Leeds’ Candle House in the very centre of Granary Wharf, Candlebar is the perfect place for a second date. Or a third date. Or a 57th. With 14 craft beers on tap, 20 different types of wine (we didn’t even know there were 20 different types of wine) and those kind of homemade pizzas that involve chucking dough in the air and catching it with your fingertips, you can even snack on camembert-coated popcorn for just £2.50. Admittedly, drinks start at around the five pound mark, but with beers coming in at six per cent, you won’t need many of them! Run by two sisters (nope, we can’t comment on how much squabbling goes on behind the scenes), this is York’s hottest spot if you want to grab a low key bite to eat – without having to deal with sticky floors and tables that you have to stick a folded up piece of tissue under to keep from wobbling. 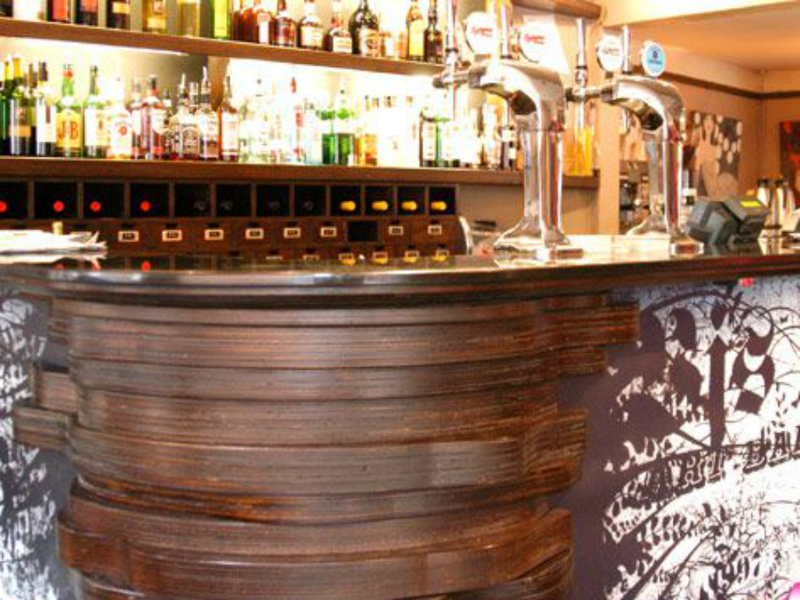 The food is simple (think £7 burgers, nachos and all-day breakfast), but the drinks menu is extensive, and ranges from locally brewed Yorkshire ales, right through to prosecco and four different kinds of gin. And if that’s not high class enough for you, there are monthly art exhibitions too. Which is totally posh. Innit.